Stimulates melanin and enhances the tan. 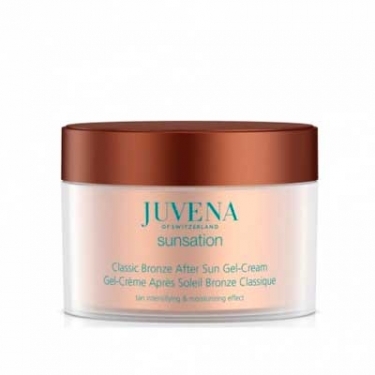 Sunsation Classic After-Sun Gel-Cream is a Juvena after-sun care to soften and soothe your skin. Enriched with Hydro-Boost Technology to boost skin miosture levels for smooth and healthy looking. It helps improve skin quality with SkinNova Tecnology. Excel-Tyr stimulates melanin to the skin and help prepare you skin for the next day. 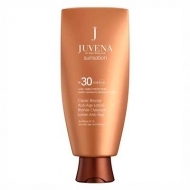 It leaves your skin perfectly calm and smooth, with a sun-kissed glow.